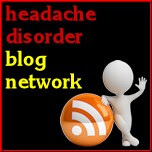 Migraine Monologues: A Migraine Weather Forecast? Neutral The weather will not significantly impact the risk of a migraine headache, nor its severity or duration. BeneficialWeather conditions create a lowered risk of a migraine headache, and will help to make a headache less severe and of shorter duration. These places have fewer factors associated with migraines. Does the weather trigger your migraines? 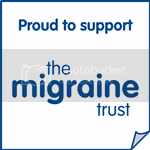 If migraines or headaches are causing you trouble, don't suffer in silence: get thee to the National Migraine Centre. No GP referral needed. You could always visit a seattle walk in clinic or any urgent care center near your home when you're migraine strike you in that way they could administer treatment to you the soonest time possible. Actually urgent care in phoenix could help you out on this kind of concern cause they are quick-responders and their physicians are all experts and could even give you advise on how to avoid this from happening. Migraine can attack every time and any time, that’s why one must always know its first aid for early prevention. The hospice care services offers treatment for this sickness, they can help you overcome it.